Upgrading Function: Touch Android Navigation System, Trajectory Reversing, Front View, DVD, TV, 360 Panoramic, DVR, TPMS etc. 1. 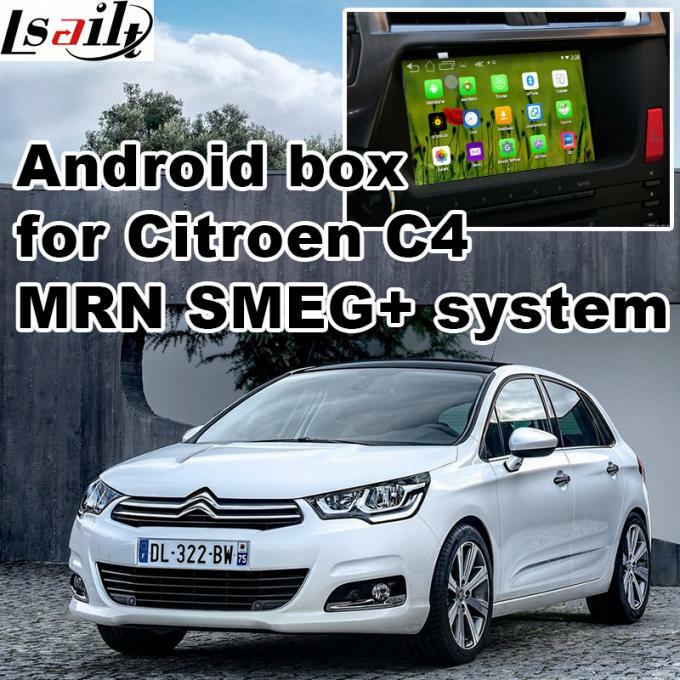 Android 4.4 system, Quad core 1.6GHz Cortex-A9 chip, quickest running speed in market. 2. 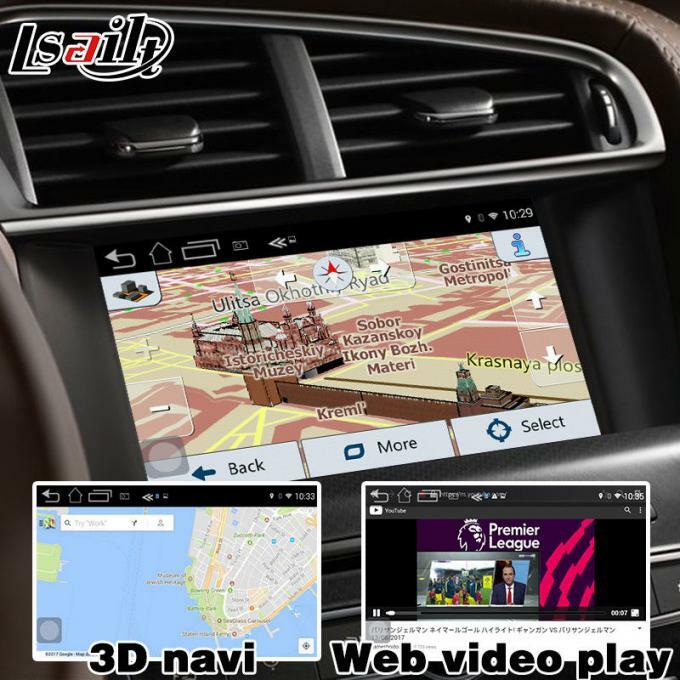 Compatible all Android apps include YouTube, Waze, Google map, iGO, Real-time & offline navigation etc, free download from Play store. 3. 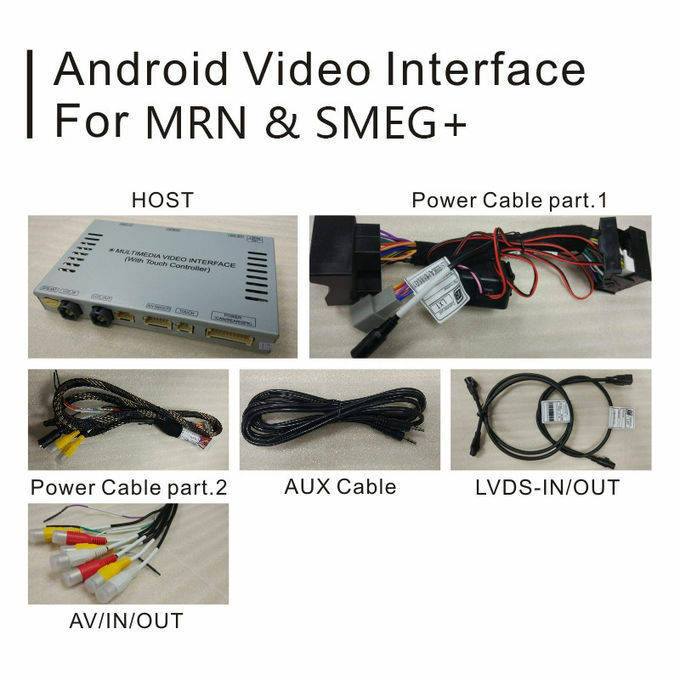 Compatible to car origin rear view & front view, DVR, 360 panorama, TV box, TPMS optional. 4. Connect via Wi-Fi Bluetooth USB. 5. Could be switch to origin system with just one click on dashboard or steering wheel. 6. Simple plug & play installation. 3. Support 2 RGB & LVDS video signal input. 4. HD 1080P video play supprted. 7. RK3188T/PX3 main processor, Quad core Cortex-A9 structure, much quicker than Allwinner T3 A7 model. 8. 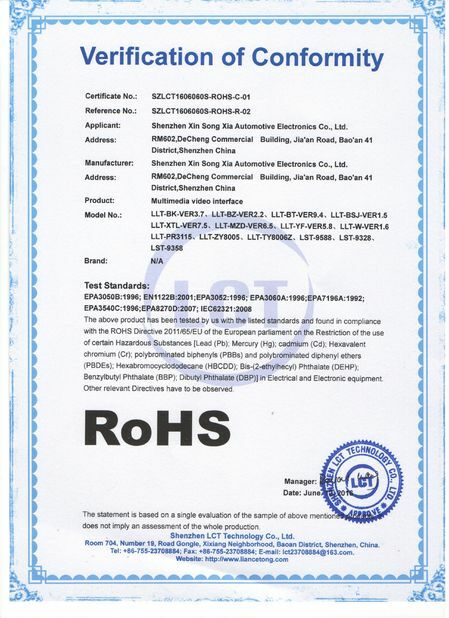 WiFi module: RTL8188 / RTL8723. 9. 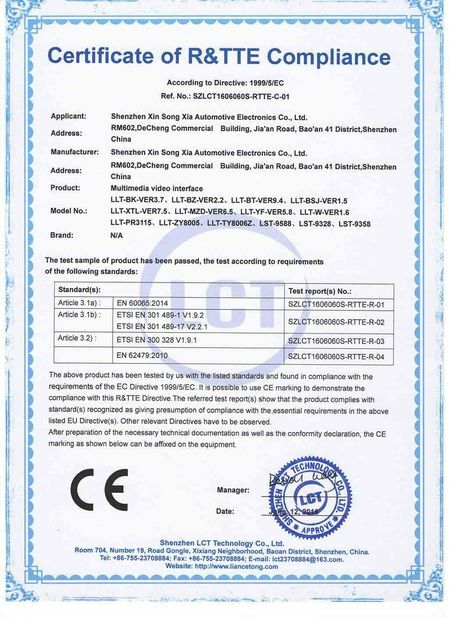 BT module: RTL8723BU, support BT4.0, firmware support Bluetooth functions. 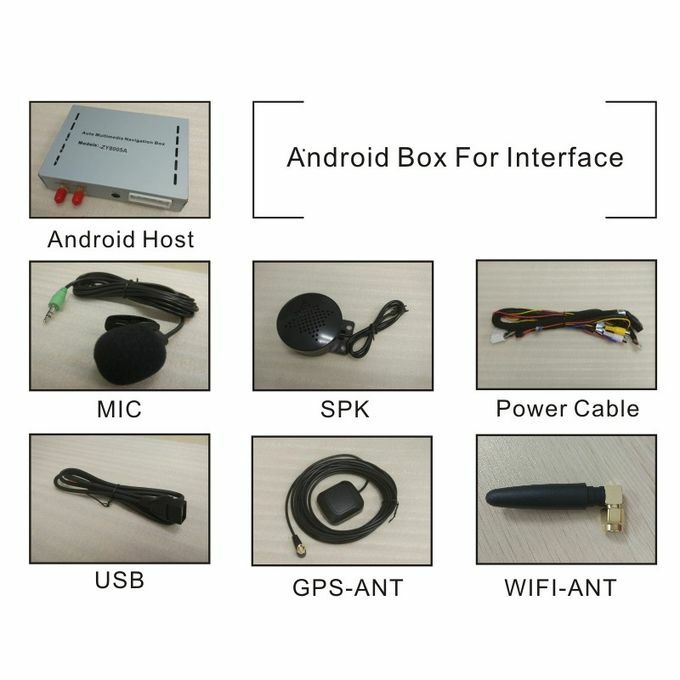 The owner should understand navigation, visual trajectory reversing, DVD player, TV news, 360 panoramic, and auto data recorder through interface box and use LCD (BYOD).Then we integrate these modules into a car which could upgrade to touch handwriting navigation, remote control, mini system operation. 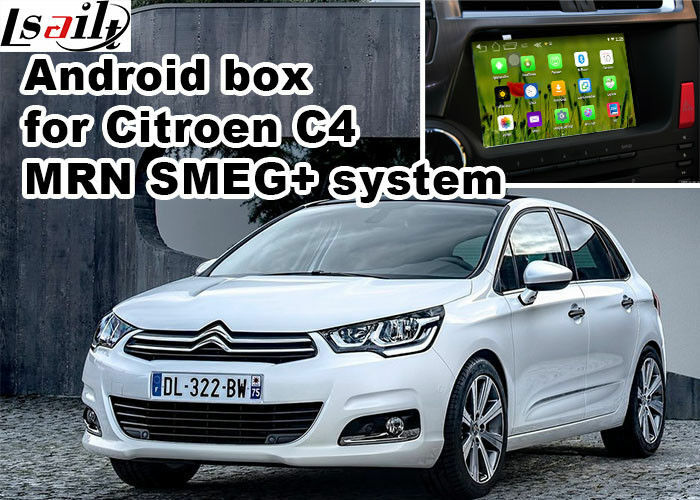 After that, the original system is not changed and the system which is installed will not damage and interfere in the original car. USB Interface Two-way interface,can external connect a stern line of USB HUB,USB. Format of Video File MPG,MPEG,DAT,VOB,TS,TRP,TP,M2TS,MTS,MP4 ,MOV,RMVB,RM,MKV,DIVX,AVI,ASF,WMV,FLV,TS,WEBM. Functions of Picture Media Select pictures from list,Play,pause,the last picture,the next picture,Rotating pictures,set as wallpaper.